The Physiology of Nerves series displays the basic structures of the human nervous system. 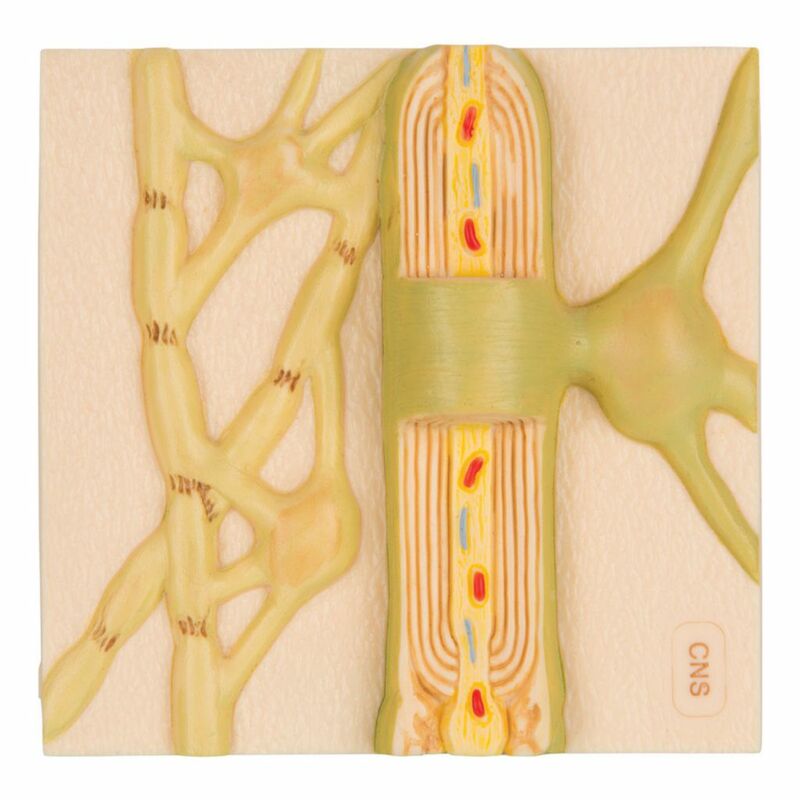 Each of the five sections of the nerve model shows a plastic colored relief model of the main synapse variations. All sections of the nerve physiology series can magnetically attach to the illustrated base which depicts the neural components in vivid colors. 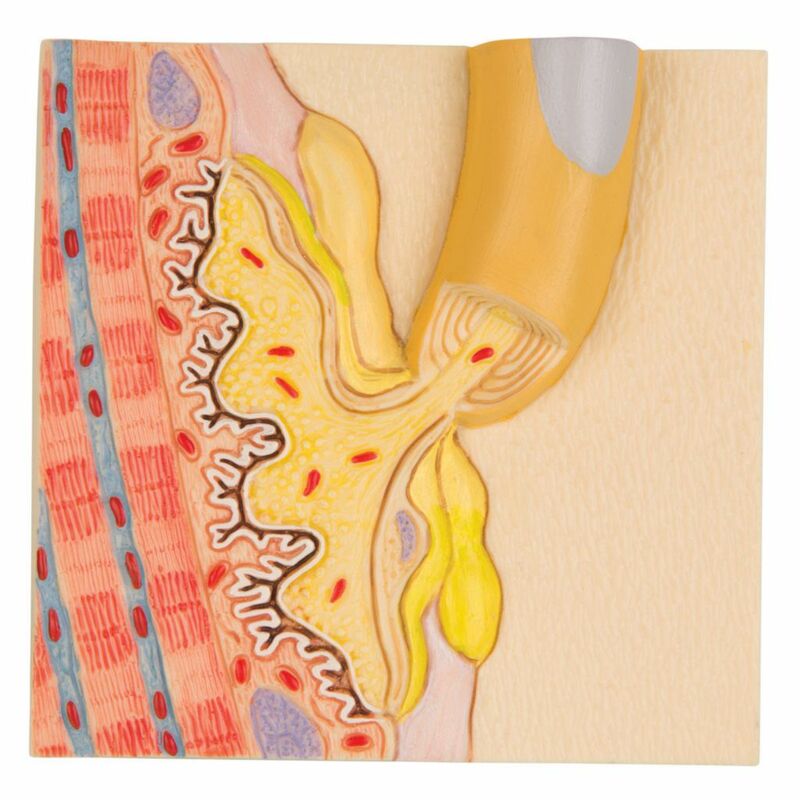 Each nerve section is also available separately. 1. Neuron Cell Body Typical neuron body with cell organelles, for example mitochondria and many other characteristics of human cell, are visible through a removable transparent cover. The edge of the cell body also shows the synapses of connected neurons. 2. 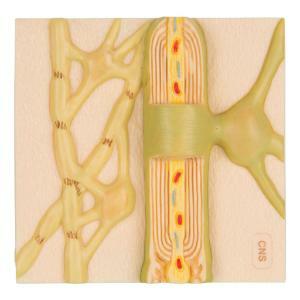 Myelin Sheaths of the CNS This model shows the glial cells which build the insulating layer around the axons of the central nervous system. 3. 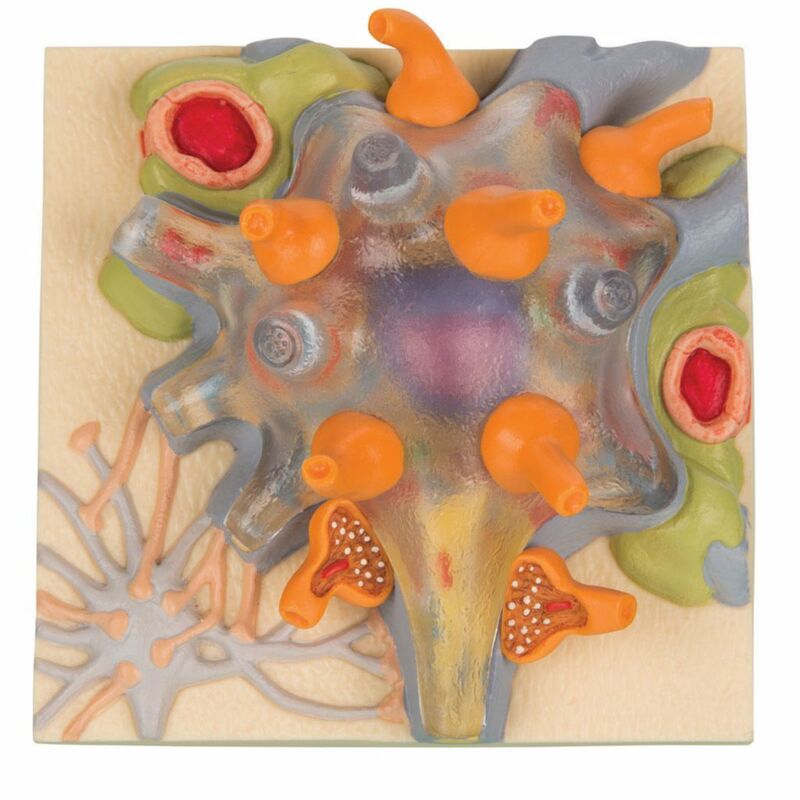 Schwann Cells of the PNS Depicts a Schwann cell with sectioned core. 4. Motor End Plate Neuromuscular junction with striated muscle fiber is depicted. 5. 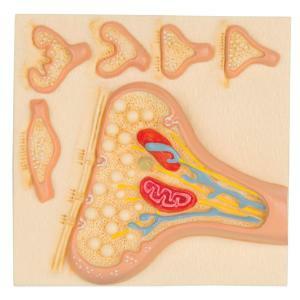 Synapse Featuring the endoplasmic reticulum, mitochondria and the membranes of the synaptic gap. 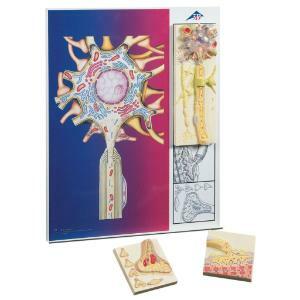 The nerve physiology nerve series also depicts 5 smaller relief models of the main synapse variations. 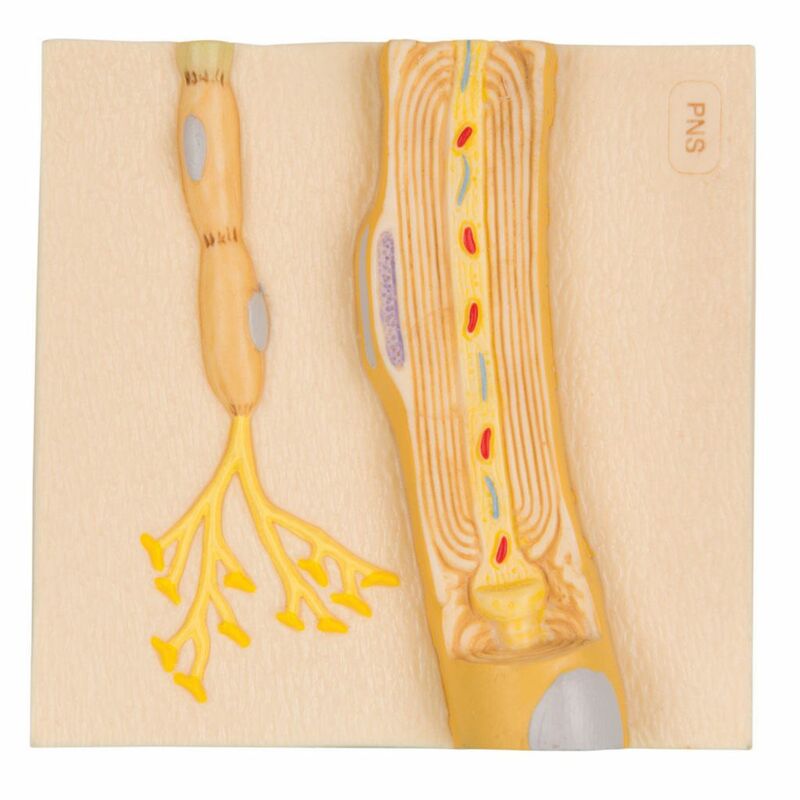 The nerve set is a great tool for teaching the anatomy and physiology of the human nervous system.